Sanyo CM1972 +(2)KMS0772 Low Ambient Wall Mounted Dual Zone Air Conditioner Only is efficient and affordable solution to solve cooling needs in your apartament. Featuring Cooling Capacity of 17,000 BTU and highest manufacturing quality Sanyo Dual Zone Cooling Only System is the best choice to make even the hottest summer day fresh and comfortable. 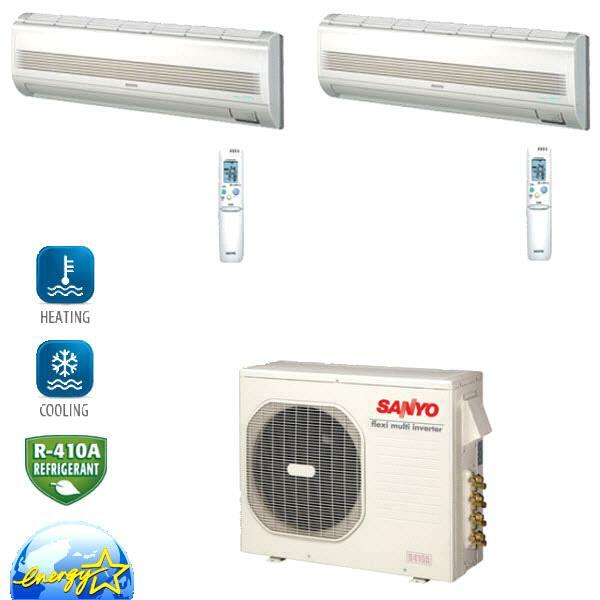 Sanyo AC Units are made in Japan usingR410A Environment Friendly Refrigerant thet leads to increased efficiencies, low energy consumption and a very comfortable environment. Sanyo CLM1972 + (2)KMS0972 features inverter-driven compressor, so when the Sanyo CLM1972 Outdoor unit detect changes in temperature otside and automatically changes compressor speed setting unlike conventional units, that work another way, because they start and stop repetitively. Special components inside the compressor increase the flux and reduce its weight and allow the compressor to work with higher energy efficiencies with better performance than before also at low levels of noise during start-up and running. Sanyo Negative Ions Generator. The negative ions generator fills your room with negative ions throughout the year. *Ion generating power - over 100,000 parts/cc. Seasonal Energy Efficiency Rating (SEER) 17.6. 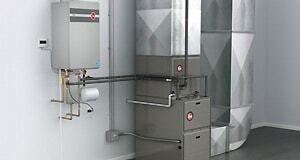 System is designed to run longer periods at reduced speeds to improve dehumidification. Brand New Factory Tested Units. Sanyo CLM1972 - Low Ambient Outdoor Unit. First Sanyo KMS0972 - Indoor Unit with Wireless remote. Second Sanyo KMS0972 - Indoor Unit with Wireless remote. 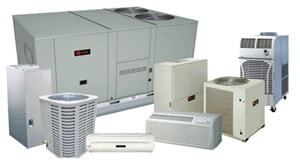 By adding required accessories to Sanyo CLM1972 + (2)KMS0972 Air Conditioner System you are receiving complete cooling solutioncompletely ready for installation. So your contractor does not need to purchase required Sanyo Accessories to finish the installation. Please note that indoor units receive power directly from an Outdoor Unit. Tube Diameter: Wide Tube 3/8"